2.9 9. Education in Right Human Relations – Inter-individual psychosynthesis. 2.10 b. Right relations with others of the same age. 2.11 c. Right social and collective relations. This article deals with the principles behind the necessary special education of gifted children. The development of a well-integrated personality to balance the special gifts. It might seem superfluous to emphasize the importance of recognising gifted children, of educating them with special care, and of working on the ways and means of such education. But the fact is that, in spite the great interest aroused by these problems – resulting recently in interesting experimentation and a number of studies, particularly in America (in many countries there has been practically no activity in this direction) very much more can and should be done. Some of the principles involved and the methods used call for careful examination and frank discussion. 1. Those who are gifted in a general or multiple way, and demonstrate a marked superiority over the average in all or several fields. They are usually healthy, strong and sure themselves. Their education should not present specific difficulties; the problem is, rather, to offer them the most favourable conditions for self-development and the utilisation of their gifts (These conditions will be considered later.) There is perhaps some particular direction in which they do need help and guidance – the choice of which of their various talents should receive specific training, so that they may avoid indecision, delays and a wasteful scattering of energies. 2. The second group is different and presents difficult educational problems. It comprises those possessing a specific gift so exceptional as to border upon or enter the field of genius, but having side by side with it serious deficiencies or lack of balance in other aspects of their personalities. In this group we find young people who have artistic, literary, musical and in some cases mathematical abilities, but are hyper-sensitive, over-emotional and over-imaginative. They often are physically weak or clumsy, impractical and absentminded. They are thus generally neither understood nor appreciated by parents and teachers, and are apt to be the target of the ridicule or antagonism of their fellow students. Such lack of understanding and appreciation, and the consequent ineptitude in dealing with these young people, are the cause of much suffering, despondency and despair; or of revolt in many cases, and in others even of deviations or perversions. Among the many well-known instances of this kind we may mention Baudelaire, Verlaine, Strindberg and Kafka. In other cases adults, recognising and appreciating the special gift, often endeavour to force its cultivation. Their aim is to produce an infant prodigy as a musician, a precocious mathematician or scientist, without taking into consideration the injurious consequences of such lopsided development. This sometimes means an actual exploitation, either by the family-due to vanity, ambition or financial greed – or by the community. At present – owing to the rude awakening, by the Sputnik, of the Western powers from a false sense of security and technical superiority – we are witnessing a frantic spotting and high-pressure training of young people whose gifts are particularly applicable to physics, chemistry, mathematics and applied technology. But even outside this field there has been and there is an excessive tendency in modern life towards specialisation and over-valuing of practical efficiency. In order to counteract this trend a well-rounded, harmonious and integrated education is necessary, as the best educators have recognised. Such education is doubly required in the case of gifted young people. There is another and even more important reason which should induce us to do our utmost on behalf of these gifted children: the realisation of how precious they are to humanity! In our present period of transition and planetary crisis we are urgently in need of individuals who are superior to the average, intellectually as well as morally. They are the ones on whose shoulders, in the future, will lie the responsibility of guiding the disoriented and distressed peoples of the world, and this they will have to do not only on behalf of the blind and restless masses, but also for the intelligentsia, many of whom today lack vision, are supercritical, negative, desperate and bitter. Our one great hope is our superior children, who will lead humanity to a brighter future, who will be the inaugurators of a new civilisation and a new culture more in accord with the needs and requirements of the new era. Our gifted children of today will tomorrow be our scientists, authors, artists, politicians, economists and teachers. The more intelligent and the more effective the help we now give them, the sooner and the better will they be able to develop their precious talents and make full use of them for the benefit of humanity. What has been done about all this so far? A good start has been made, particularly in the U.S.A., with special classes, accelerated and enriched courses, and a few schools for “gifted children” (A clear exposition and comprehensive survey is contained in Educating Gifted Children, by Robert F. De Haan and Robert J. Havighurst. The University of Chicago Press. 1957.) The American Association for Gifted Children (15 Gramercy Park, New York City) is active in publicising the importance and urgency of giving such children the most suitable education and, particularly, in drawing the attention of teachers and parents to these problems. Moreover, the great need for a special type of education shows itself in pupils who are from eleven to eighteen years old. It is during these years that a child’s evolutionary level manifests itself with clarity. These are not only years when exceptional gifts become apparent, but when under inner stress and strain, the “personality” is being formed in all the young. This difficulty is considerably enhanced in superior children; because the richness of their natures and endowments complicates the process of their psychosynthesis. The existing special schools, classes and courses seek within the existing framework of education to meet the needs of gifted children (estimated at 10% of the school population), but the system is not adapted to the smaller number of the really super-gifted children (described by Drs. De Haan and Havighurst in Educating Gifted Children as “the extremely gifted … the 1/10th of 1 % of public school children”). Their superiority lies not only in some specific talent but often in their outstanding moral and spiritual qualities. Such young people need a very special type of education, extremely “individual,” and their teachers must be of a correspondingly high personal calibre and educational competence. Such a difficult task can best be accomplished in Educational Centres or Institutes dedicated to this specific purpose. These are the reasons which impel us to present the need for the creation of Centres for the Education of Super-Gifted Children, the outline of which follows. Such a Centre will not officially bear this name, and nothing in it should indicate to the pupils that they are considered “superior.” It will be for them simply a college in which modem and “active” methods of education will be used and an international spirit fostered. They will also be offered varied opportunities to meet children and youths outside the Centre and to cooperate in activities for the benefit of the community. It is impossible to outline a complete educational program here, but we can enumerate the main points which we consider particularly appropriate for the exceptionally gifted. a. An harmonious and well-balanced development of all aspects of the human being: physical, emotional, imaginative, mental, intuitive, spiritual. b. 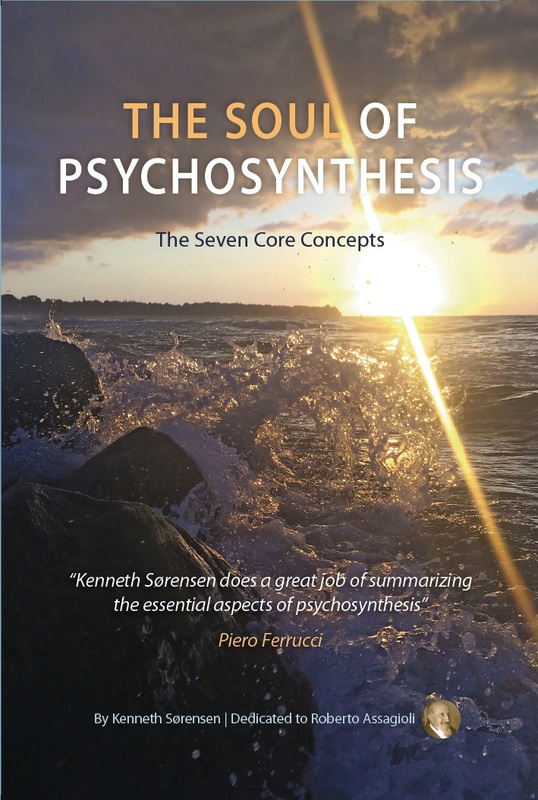 The integration of these characteristics into an organic synthesis, into a “personality” that is Self-conscious and “well constructed” (spiritual psychosynthesis). The danger to avoid is that of over-specialisation, of exploiting the specific talent with which the child may be gifted. The more a child has a specialised talent, the more he needs to develop also other functions. Often there is unbalance and one must apply the principle of psychosynthesis, of harmonious integration, and help him to become a fully-functioning, whole being. a. Action that aims at learning, as much as possible, through personal application and experimentation, that which humanity has already achieved, both in the field of knowledge and in regard to the mastery of the forces of nature. b. Creative manifestation of the pupil’s own personality, of his own capacities and inner life, through the use of various expressive techniques, such as speech and drama, writing, drawing and painting, modelling and sculpture, dance, and the composition and performance of music: or the carrying out of research, problem solving and experimenting by scientifically inclined students. In consideration of the great diversities of human beings (independent of the differences of I.Q. ), it is obvious that education should take this diversify into full account and should be “individualised” as far as possible. This means that, to really educate, one must apply different methods according to the special character, needs and problems of each pupil. 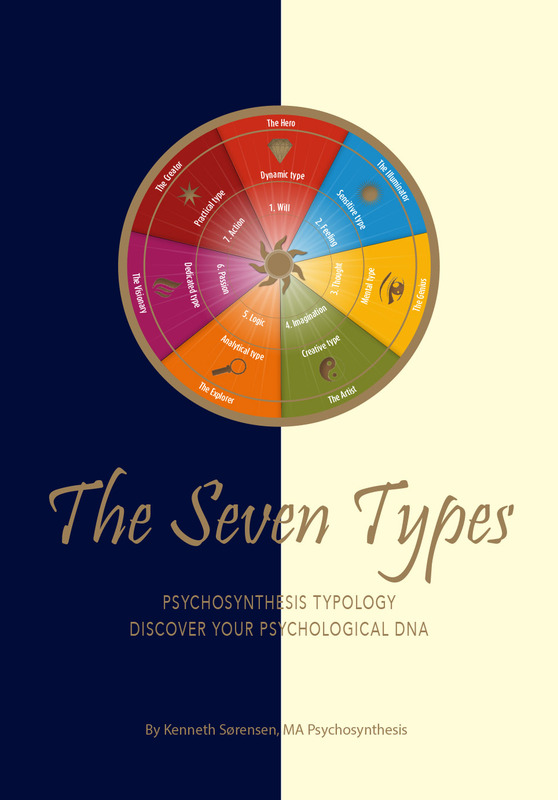 The most marked diversities are those deriving from the different psychological types (such as extrovert and introvert; sensorial, emotional, mental, intuitive, and their several combinations); and those which derive from the special compound of physical, psychological and spiritual elements which make a unique being out of each person. Differentiated education is based upon two fundamentals which at first seem to be opposites, but which can and should complement each other. A balanced application of each requires great ability on the part of the teacher. He must, after due recognition, adapt his methods to the psychological type to which each pupil belongs, while at the same time he must try to correct and even eliminate, as far as possible, the one-sidedness and shortcomings of each type, with the objective of attaining an harmonious synthesis of the personality. Added to the typological diversities that are due to the pupil’s make-up, there are the diversities of a dynamic nature which express the different individual “rhythms”: rhythms in the development of the various capacities, and rhythms of learning and of action. These rhythms must be observed and taken into consideration. This is true in relation to the education of all young people, but particularly so in regard to the gifted and the exceptional ones. A more specific kind of physical education consists of methods of rhythmical movements, both regulated and free, which enable one to acquire a proper awareness, control and command of one’s body (bio-psychosynthesis). There are several good methods of this kind, for instance that of Dalcroze. Also, appropriate games in the open are useful for the same purpose. This will not be based on memorization – as unfortunately is still too often the case-but on the active training and use of the mind. The pupils will not be asked to study and repeat, almost verbatim, the Contents of textbooks; instead, they will be taught to find out for themselves what they need to learn by the intelligent consultation of textbook treatises, grammars, dictionaries, encyclopaedias, etc. Particular emphasis will be placed on the science which is most important to man: psychology. Many of the most significant facts and laws of the psychological life, if presented in a living, humanistic way, that is referred to their own experience and problems, can be easily grasped by boys and girls of high school age. They can also be trained to develop use and control their minds through well graduated exercises of concentration, reflection and meditation . Imagination is of great importance in human life and has more influence than is generally recognised; therefore it should receive particular attention. The training could include exercises of visualisation, creative imagination, etc., so that the young people will gradually learn how to control and rightly use this precious function which, if not constructively applied, often has harmful and even dangerous effects. The control and utilisation of the emotional energies and the development of a finer sensitivity will be adequately taught. All the best methods will be used, both those transmitted by the wisdom of the centuries and those based on the latest developments of psychology. Here we can only briefly mention that every repression and unnecessary restriction should be avoided, but the pupils should be taught how to keep their exuberant emotions and drives within proper bounds and how to transmute and sublimate them. The will is the central and most precious power inherent in man and yet it is the one that has been neglected most, both in family and in school education. One can say that a widespread-even if unconscious tendency exists to prevent or discourage the development of the will, despite the crying need for greater self-discipline. The oppressive and authoritative methods used in the past have proved ineffective and have, rather, been causes (though not the only ones) of the rebellion against discipline so widespread among modern youths. It is, therefore, a matter of urgency to encourage and help young people to train and develop their will as a means of self-discipline as well as of success in life. The methods for this purpose are available. In reality all the previously mentioned aspects of education-physical, mental, emotional, creative, etc.- are indirectly exercises for the development of the will; but they could become more effective if they were consciously used for that purpose also. In addition, there are other specific methods for the development of the different aspects or phases of the will: deliberation decision, planning and action. They often possess real intuition and spiritual illumination . Typical, among others, is the case of the English poet, Wordsworth, who added to the title of his famous poem, Intimations of Immortality, the subtitle, Remembrances of Early Childhood. These children-as well as all others who at any age put similar questions – have a right to receive adequate answers. Their questions must be taken seriously; one can use such opportunities to instil into them a spiritual conception of life, make them feel the greatness and beauty of the universe and the admirable order that characterises it – a sign that there IS a Superior Mind that created it, rules it with wisdom and guides it toward a .glorious goal. From this general picture one may gradually proceed to giving them more detailed information, according to one’s own faith, but seeing to it that the feeling of wonder and mystery remains With the child. At the same time one must observe and encourage all spontaneous manifestations of a spiritual nature, such as higher aspirations, intuitions and illuminations that might arise in them. Also, any parapsychological sensitivity they might have and demonstrate should never be denied or ridiculed, but should be explained to the pupil as far as possible and be wisely watched and regulated. 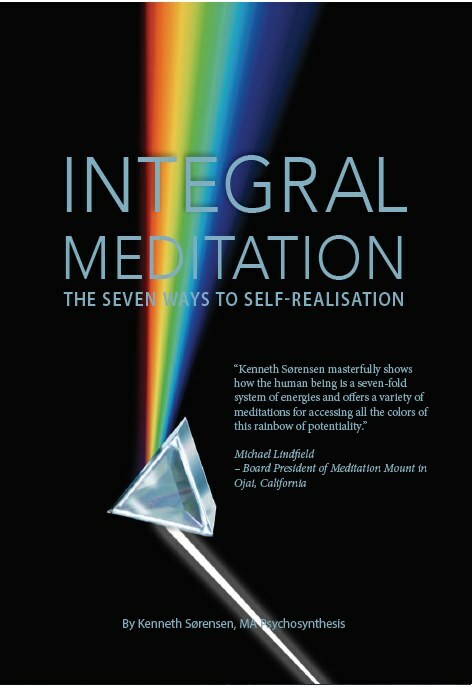 But the chief aim of spiritual education is to help the pupil to realise that he-as well as all human beings-is in truth and essentially a Self, a spiritual being, and to make him understand and “feel” the dignity and value of this great inner reality, showing to him all the opportunities it offers. 9. Education in Right Human Relations – Inter-individual psychosynthesis. a. Right family relations. The family can be regarded as a “human cell,” almost as a small “collective entity.” Here the parents have a difficult and noble task, for which, unfortunately, they are often not prepared. While in some respects their problem may be easier when dealing with highly gifted children, it is in other ways more exacting and difficult. When parents are not able to cope with such a task they need the help of competent educators. In any case, parents should have the wisdom demonstrated by birds which make their young ones leave the nest when they become able to “fly with their own wings.” Such a moment obviously arrives earlier than usual in the case of gifted children. This does not mean a sudden detachment from the family but, rather, a gradually widening scope of the youth’s human contacts and independent experiences. In certain cases, due to conditions in the family or the particular needs of the child, a more or less prolonged stay in an Educational Institute is advisable or even necessary. b. Right relations with others of the same age. These are necessary in order that the development of the personality may take place in a normal and satisfactory manner. It is no less – rather, even more – unnatural for a child to live all, or most, of the time with adults than it would be for adults of the age of thirty or so to live only with nonagenarians. Here we find one of the most difficult problems in the education of the gifted, and particularly of the highly gifted child, The company of “normal” children or youths of their own age does not satisfy them, and reciprocally the “normal” ones do not understand or appreciate the gifted, and are often hostile to them. Nor does the company of older children constitute a satisfactory solution because in this case also tensions and conflicts of various kinds easily occur. This has been observed and emphasised by various American educators such as Terman, Hollingworth, etc. See: The Gifted Child, edited by P. Witty. (D. C. Heath, Boston, pp, 101-103.) Therefore, the best solution for such children is to have the company of their equals in a psycho-spiritual sense. This can be achieved to some extent in classes or schools for the gifted, but much better in a special Educational Institute. c. Right social and collective relations. These concern the many groups and communities with which an individual is or becomes connected, and cannot be considered in detail here. The general task of the educator in this respect is that of helping, wisely and appropriately, to distribute the pupil’s sense of “belonging” to each of the various groups. At the present time particular attention should be given to balancing the rightful feeling of national belonging and the natural love for one’s country with the respect and appreciation due all the other peoples, and with the wider and higher realisation of human brotherhood and world citizenship. To these wider identifications highly gifted young people are particularly inclined. The best way to foster such “planetary consciousness” is personal acquaintance between individuals and groups of various countries, particularly when it develops into the deeper and more intimate mutual knowledge and appreciation made possible by living and working together. For this reason, as well as for others, an Educational Centre such as we have mentioned would gather pupils from various countries, and all of them would be taught the principal modern languages. The natural method should chiefly be used, that is, the way in which a small child learns, speak and understand its native tongue. This has been explained at length in my paper A Psychological Method for Learning Languages. While one cannot, of course, expect an educator to be an ideal person, the aim in the choice and training of the teaching staff for such a Centre would be to ascertain the existence, and promote the development and use, of as many as possible of the qualities listed. In a certain sense the essential problem with gifted children consists in finding and training gifted educators! 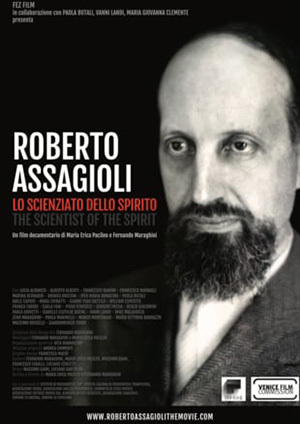 Through such “integral education” highly gifted children would be helped to assume their proper place and to function within the vanguard group of the builders of a new and better civilisation, the creators of a higher culture, the first representatives of a humanity led and pervaded by the Spirit.